Home >> Listings >> WEST END SERVICE INC. 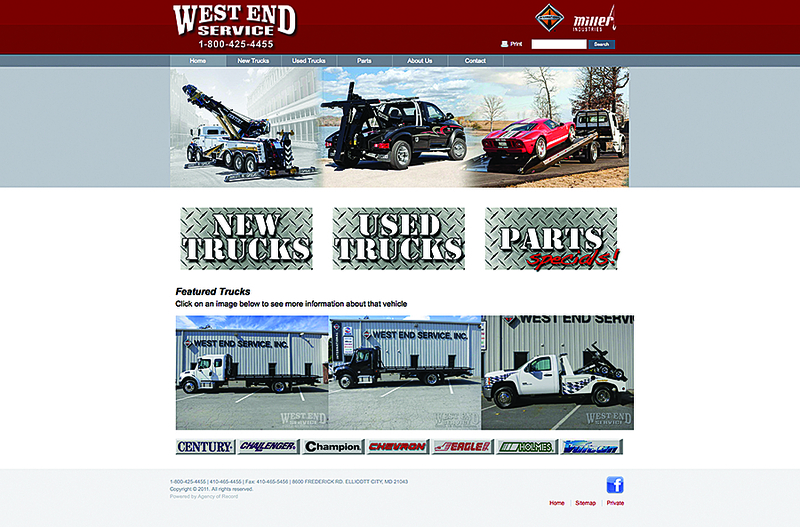 In business since 1928, West End Service Inc. is a medium-duty International Truck and Engine Corp. dealer. We are a full-line Miller Industries distributor offering Century, Challenger, Champion, Chevron, Eagle, Holmes and Vulcan carrier/wrecker bodies and Miller trailers. Our services include medium-duty truck sales, service repairs for all makes and models and a fully stocked inventory. Visit us online or call us at 800/425-4455.